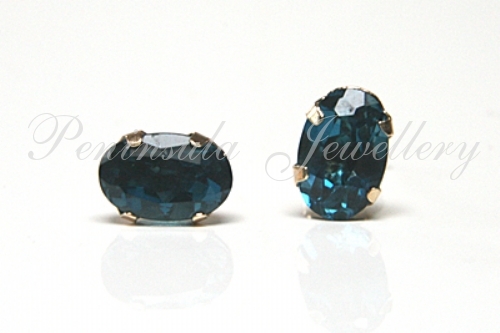 Classic Stud earrings featuring 6x4mm Oval cut London Blue Topaz gemstones with 9ct gold posts and backs. Includes a free pair of comfort fit plastic earring backs. Made in England. Supplied in a luxury gift box - Great gift! !